Welcome! Here you will find all of the content for Part 1 in the order in which it is presented in class. We begin our journey exploring the realm beyond what we typically consider body language. You see, healthy horses utilize all their senses to assess their environment. It is not in their nature to stop and think, or analyze how they receive information, or if what they receive is relevant. They greet the world in reception mode. They hear, see, smell, taste, and feel everything in their environment. Perceiving so completely gives horses access to vast, and accurate information almost instantly. A nervous system likes information, in fact, the more the better. Receiving instantaneous feedback from multiple systems gives horses an accurate read in a split second. This sensory awareness accounts for herds of horses, or other grazing animals, popping their heads up to orient towards a potential threat, virtually at the same time. Just as quickly, they flee the area, or go back to grazing as though nothing has happened. This way of being in communication with each other and the world is efficient, effective, and fosters a sense of ease. After all, conservation of energy is key to survival for a grazing animal! They literally cannot afford to expend energy on over reacting to every little thing. In a healthy herd of horses, no one jumps around spooking at every little thing. 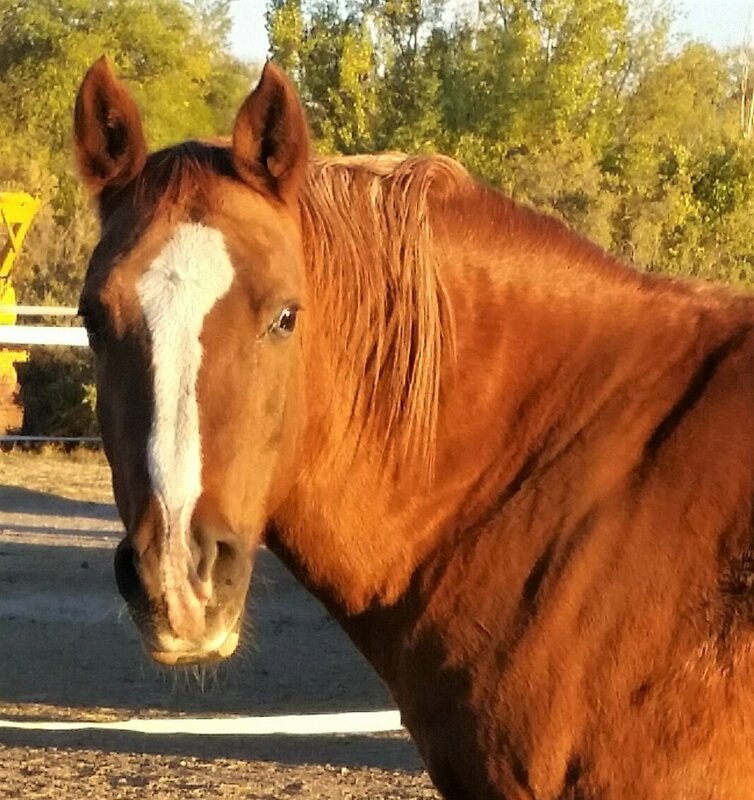 All beings, including us humans, are born with this innate ability to connect with our environment in the same way horses do. Can you remember being a small child and feeling a sense of curiosity and wonder - how everything you saw, felt and experienced was new and amazing? Do you still have that sense of childlike wonder or has life taught you dampen or diminish it? This is a video that is a compilation of catching Kastani. Or, as I like to say, ‘inviting him to dance with me’. Until I slowed down I never realized how much anxiety he had about having the halter put on and being asked to do things. It was an interesting exploration and I hope it gives you some inspiration for things to try on your own. Here is a short video where I demonstrate with Sunny how to go about haltering a horse in a herd and things to be aware of and watch for. I also talk about how to handle a nervous horse for things like farrier, vet or clinic situations.